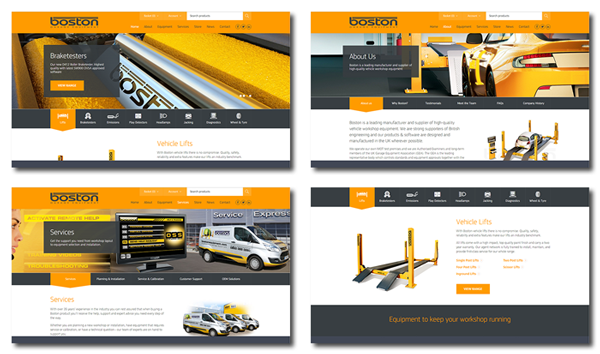 Boston Garage Equipment, a leading manufacturer of vehicle workshop equipment, launched their new fully responsive website today with its new URL: bostonequipment.com. The old site has been decommissioned and all traffic will be automatically re-directed. The new website showcases the Boston range across all platforms - mobile, tablet and desktop – and the modern, uncluttered design provides quick and easy access to essential information. To aid navigation, the site is divided into eight main sections including a user account area. Products are organised by category and individual product pages provide high-quality photos, detailed descriptions, technical specifications, and all the relevant downloads. 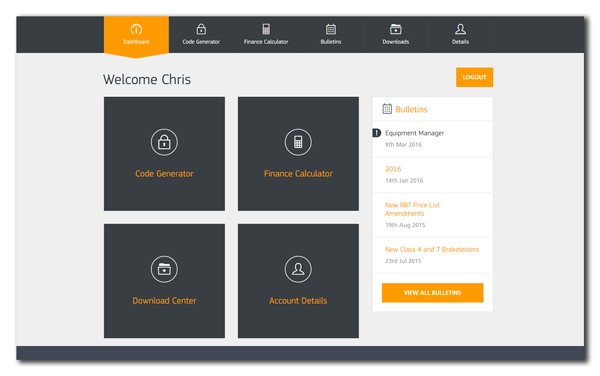 The new agent account area, for Boston distributors and approved engineers, provides instant access to a dashboard of key features: a Code Generator (for equipment service codes), a Finance Calculator, Technical Downloads and a Bulletins section, making it much quicker and easier for agents to access the information they need to best serve customers - even when out on the road. “Although the website has gone live with a range of Boston products we still have much more to do in the coming months. We are currently working with some of the industry's biggest names to bring further high quality products to our new online store. The decision to supply other brands is a new one for Boston, but it is something we feel will be of great value to our customers." Watch this space for more news!